There is nothing better than waking up to a refreshing cup of hot tea served with nicely baked apple cider doughnuts! This combination would give you a good start to your morning, something that everyone always looks forward to. This breakfast would even be better when you have your extended family visiting so that you can not only share the nice taste but also the love. This simple and yet special treat would be much appreciated by the family who will feel special and very welcomed. The doughnuts are baked in a special way instead of the widely known way of deep frying. The end result will look like crescent-shaped cupcakes, with beautiful golden brown color. 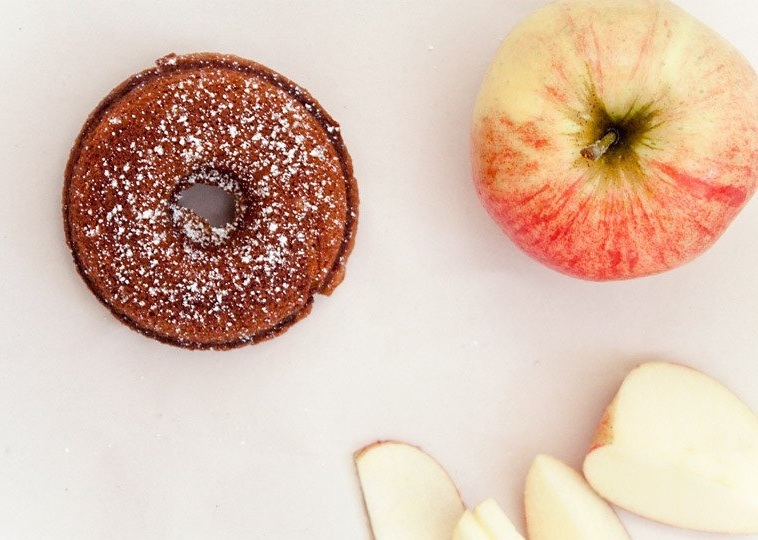 The taste of the apple cider doughnut will bring back the memories of traditionally deep friend apple cider doughnut but only that this time you will be taking the modernly baked doughnut. The advantage of baking the doughnuts is that it is less messy and has minimal work involved as compared to the deep fried apple cider doughnuts. Once you have prepared your dough and shaped them, you will only layer them into a baking pan into the oven then time them, and from there you can other things like preparing your tea which will be served with the doughnuts once they are ready. This process therefore means that you will not necessarily need to have a doughnut pan since you can effectively use the baking pan. It is a good idea to make the baked apple cider doughnuts if you are looking to try something new, or if you want to show your appreciation to family and friends. While the oven is pre heating, grease the pan, you can use either the doughnut pan or baking pan. Take a clean mixing bowl which is large enough, pour in the flour, add baking powder and baking soda then salt and cinnamon then mix them all together. Take another large bowl and put in the remaining ingredients and whip them all together till the wet ingredients are fluffy. When it is ready, pour the wet mixture into the dry mixture and continue beating till when they are all completely mixed up. Ensure that your mixture is smooth with minimal lumps. Add butter into every mould to about 3/4 full. Then put it into the oven and bake for about 15 minutes, keep checking to see that golden color. Once it is ready, remove and cool them on a wire rack or whichever way you are used to. Then dust them nicely with powdered sugar and serve with tea. This will make a memorable breakfast for you and your family. These baked apple cider doughnuts can also be served with spiced tea, black tea, and some would also take it just like a snack. Try this recipe and lighten up your house with its magic!